I am a home based business owner and internet entrepreneur who publishes articles on a wide range of home based business and marketing topics. I began my career as a solicitor in the legal profession. With more than 29 years of experience in this field, I desired something that many of you also desire, to work from home as his own boss. Interested in property investment and development, I started a business in this industry and began selling information products related to this market niche. This was when I first saw the income potential in online marketing. Interested, I began to create other sorts of information products to sell online, and the rest is history. I quickly began learning everything I could about internet marketing, as I began to realize my dream of leaving the ‘9 to 5’ lifestyle behind. With organization, communication, and management skills already under my belt, I began to develop analytical skills more fully as a digital marketer. 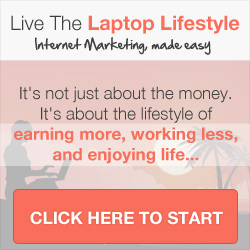 After years spent researching different information products and opportunities, I have become very experienced in work from home business opportunities and internet marketing. Also, under the umbrella of my talent and knowledge are affiliate marketing, email marketing, network marketing, building websites, outsourcing, and much more. Whether your goal is to be a work at home mum or dad, a professional without the confines of an office and a boss, or your primary goal is just to make enough money to pay the utility bills, I can help you. Using the knowledge I have gained throughout my journey, I now teach others how they can also create multiple streams of wealth through internet marketing and home based business opportunities. My current information publishing and marketing interests are varied and include, amongst others, work at home business opportunities, how to make money online with your own online business systems and various marketing systems. Click on the button below to learn more about Mark Ford’s story.